John's grandfather, Patrick Aloysius O'Brien, was a doctor in France during the Great War and was later Casualty Surgeon to the Central Police Office in the City of Glasgow. On the night of 10 May 1941, he was called to examine an injured pilot who had parachuted from a Messerschmitt 110 fighter plane at Eaglesham south of Glasgow. The injured man was Rudolf Hess, Deputy Fuhrer of the Third Reich and leader of the NAZI party. Hess had flown to Scotland on a personal mission to meet with the King of England in a sincere but ill-fated attempt to end the war between Britain and Germany. Coincidentally, John's cousin, also Dr. Patrick O'Brien, was Hess' personal physician shortly before his suspicious death in Spandau Prison on the morning of 17 August 1987. Hess was found by a warder strangled by a length of electric flex. To this day stands an obelisk marking the spot where Hess landed which bears the words "THIS STONE MARKS THE SPOT WHERE BRAVE, HEROIC RUDOLF HESS LANDED BY PARACHUTE ON THE NIGHT OF 10TH MAY 1941 SEEKING TO END THE WAR BETWEEN BRITAIN AND GERMANY". John was to be named after his grandfather however in April 1947, his youngest uncle's ship the SIR HARVEY ADAMSON foundered with the loss of all 269 souls in mysterious circumstances off the Temasserin coast in the treacherous waters of the Mergui Archipelago after leaving Rangoon. The ship is believed to have struck a stray mine during a typhoon and was never seen again and when John was born the following year he became John Alexander O'Brien after his missing uncle who, at the age of nineteen, had been the ship's radio officer and was known in the family as 'Alec'. 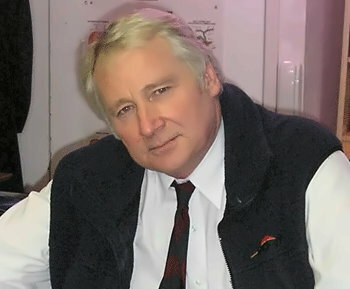 John O'Brien (pictured) who is the first of seven children, was born in Scotland in 1948. He came to Australia in 1951 with his mother and father. His mother qualified in medicine in 1944. His father saw active service as a Spitfire pilot with the ROYAL AIR FORCE during the Second World War and flew offensive operations against the LUFTWAFFE and the REGIA AERONAUTICA in France and North Africa and during the SIEGE OF MALTA in 1942. After the war, he completed his medical training and qualified as a doctor in 1950. John was educated at Xavier College and Melbourne University where he graduated in law and philosophy in 1972. He was articled to distinguished Sunshine solicitor Mr. Patrick Cannon (now deceased) and was admitted to practice by the Supreme Court of Victoria in 1973. He read for the Victorian Bar with Mr. Anthony Graham (now The Hon. Anthony Graham Q.C.) and practised at the Victorian Bar from 1975 to 1980 principally as a criminal defence attorney. During a career spanning over forty-four (44) years John has been responsible for the conduct and management of a multitude of diverse and notable cases in the COMMON LAW jurisdictions of the superior and inferior courts in Victoria, New South Wales and the Northern Territory and has worked intimately with leading members of the senior bar throughout Australia of whom all were later appointed judges of the Supreme and Federal Courts. Between 1977 and 1982 John was a reserve member of the Royal Australian Air Force and during this time prosecuted and defended courts-martial throughout Australia. In his leisure time, John enjoys fishing, technology, history, biography, and philology. He is committed to the precept that it is only by the vigorous pursuit of social justice that poverty, exploitation, and conflict can be eliminated from the world. John has a son and a daughter who are both lawyers, another son of a more artistic temperament, two grand-daughters and twenty-four nieces and nephews, several of whom are also members of the legal profession. © John O'Brien Associates Whitehorse Lawyers - 2019 All Rights Reserved.